A graphic safety video released by Bechtel aims to teach workers how important it is to secure tools while working at heights, showing the horrific injuries that can occur by using a watermelon. Filmed during a series of safety sessions on the QCLNG site on Gladstone’s Curtis Island, the video shows tools falling from heights and the devastating effects it has on “Sam the Watermelon”. 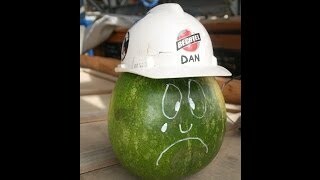 The Melon Heads safety video is being used by Bechtel to demonstrate the importance of securing equipment. 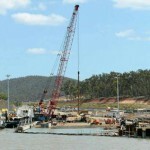 “26 Australian workers were killed from falling objects in 2010-2011,” the video states. 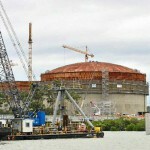 Earlier this year Bechtel Gladstone general manager Kevin Berg called on employees to help the company improve its safety record. "Because our injury rate isn't absolute zero across all of our operations here in Gladstone, we are not satisfied with our performance," Berg said. "For us, zero is the only acceptable number." In August two workers at the site were flown to hospital after they were injured when moving a crane rail along a structural steel beam. CFMEU representative Ben Loakes said he was concerned accidents would continue on the site. 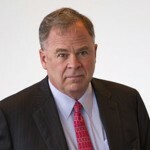 "(Bechtel has) a lot of their American safety officers that wouldn't know their Australian legislation," Loake said. Berg called the claim "ridiculous" and said safety was taken seriously on the island. "Safety assurance is proactively managed by supervisors, superintendents, area superintendents – who are predominantly Australians," he said.